Queensland’s best planners are being recognised for using their collective innovation and skills to positively shape the state’s future in areas such as climate change, natural disaster management and city-building and infrastructure projects. These planners’ contributions have benefited millions of Queenslanders and will be honoured at the Planning Institute of Australia’s (PIA) 2014 Awards for Planning Excellence in Queensland, to be held on Friday 7 November. PIA State president Kate Isles said that the calibre of entries in this year’s awards were outstanding and demonstrated the breadth of talent being deployed to improve the future for all Queenslanders. “Many of this year’s finalists were projects that aimed to create a blueprint for a brighter future for Queensland as a whole, or for a region within Queensland,” said Ms Isles. The finalists included transportation projects such as the $5 billion Bus and Train (BaT) Tunnel project. 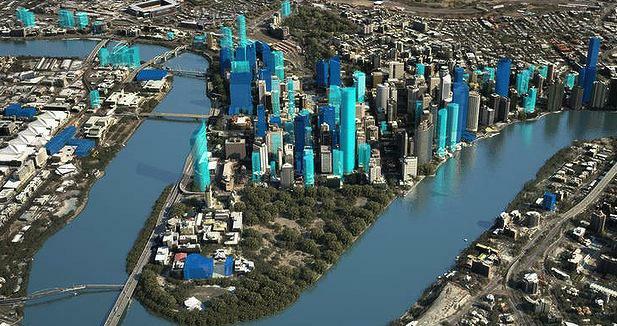 “With more than 2.2 million residents, well over 1 million cars on the road, rapid annual population growth of more than 2 per cent, and a predicted doubling of daily trips by 2031, Brisbane is well-and-truly ready for the Queensland Governments $5 billion BaT Tunnel,” Ms Isles said. Other Queensland planners and engineers were nominated for an award based on their adaptation plan to save the residents of Taro – a Solomon Islands town of 1,000 people – from climate change induced tidal surges, rising sea levels and frequent tsunamis. “When executed, the plan will make Taro the first town in the Pacific to relocate entirely,” Ms Isles said. Mr Isles said that the awards judges have been impressed but the standard of the award entries this year. “We’ve been thrilled by the quality and diversity of the entries in this year’s awards, which demonstrate just how many projects are contributing to a brighter future for Queensland,” Ms Isles said. The awards will also recognise the next generation of planners, with a category for secondary school students, and one for University students. The presentation will take place at the Victoria Park Golf Club in Brisbane on Friday 7 November.